In 2018, women earned around 80 cents to every dollar a man made. It’s 2019, on Equal Pay Day, and the gap is still present. Therefore, we’re going to take a minute to highlight the disparity in which the environment started, roadblocks that remain, and how we can implement a better future. The start of the 20th century was a man’s world. Men controlled almost every seat in Congress, every corporation, and wrote the narrative for how women should behave and contribute to society. But this male dominance didn’t come without resistance. By 1920, a constitutional amendment not only achieved the right to vote, but also sparked an even greater movement of feminism all over the world. As the sixties rolled around, more women chose to enter the workforce and attend university. By this time, some men started to step up and fight for their female counterparts and co-workers. Within the halls of government and our workforce, women began taking positions of real power, and their influence began to rise. Despite efforts to continue on this trajectory of female equality, brutal realities present in nearly every industry have come to light in the wake of the #TimesUp and #MeToo movements. Pay aside, women are facing major setbacks in the workplace. All the same, women are pushing their way through, saying “I’m here!” Today, there are 25 women currently serving in the U.S. Senate and over 100 in the house of representatives. It’s about time! However, to clarify, we still have a lot to do. Men still dominate business (for now) and, yet, at this current moment, women still do not earn the same amount of compensation as men for the same amount of work. In 2003, Doris Weichselbaumer and Rudolf Winter-Ebmer conducted a meta-analysis of more than 260 published pay gap studies for over 60 countries found that from the 1960s to the 1990s, raw wage differentials worldwide have fallen substantially from around 65% to 30%. The bulk of this decline was due to better labor market endowments of women. Essentially, for some time, there was an education gap where women needed additional education and training to compete with their male counterparts. However, now, women have the same opportunities as men, educationally, yet we still have a wage gap. In 2017, women earned 82% of what men earned, according to analysis of median hourly earnings of both full- and part-time workers in the United States. Based on this estimate, it would take an extra 47 days of work for women to earn what men did in 2017. Well, hot potato. We have some ways to go. Now that we have some background, what can we do to implement change? In recent years, some countries have taken action into their own hands, especially as it relates to awareness. Just last month, the city of Berlin announced a 21% discount on public transit fares for a day. While some would argue this is just a clever public relations move, it has been widely reported throughout local and global media and is shining a spotlight on the more considerable inequality of pay between men and women in the country. In the United States, through social media and pop-up events in major cities, men and women are demanding wage transparency from companies big and small. In a recent issue of Forbes, they describe some of the tangible benefits for keeping salary information above board. For instance, maintaining salaries publicly can reduce the cost of negotiation between employer and employee, since making salaries public leads to self-correction. Women are more likely to negotiate when they are aware of the pay gap. Sadly, women are also far less likely than men to negotiate their salary and can often be viewed as “aggressive” when they choose to do so. Read more here. Policy aside, one of the more apparent steps towards change is education. According to the Pay Equity Committee, Equal Pay Day was originated in 1996 as a public awareness event to illustrate the gap between men’s and women’s wages. It serves as an annual reminder of the progress we have made, but more so, what ground is left to cover. With this, comes the suggestion that equal pay is covered in schools on this day every year. It’s celebrated in April to represent the fact that on average, women must work more than 15 months to earn what a man makes in 12. However, education needs to go hand-in-hand with policy to spark real change. The Equal Pay Coalition of Ontario argues that the only real change will come from changing the law. “It is a fundamental legal obligation of all those who govern to cooperate to take the necessary human rights measures to close the pay gap. Discriminatory pay gaps are a violation of human rights.” They’ve suggested putting in place a plan that will close the wage gap by 2025. They believe that implementing employment equity law and policies will help them meet their goal. Women need to start talking. Discuss compensation with your friends and coworkers. Don’t just compare the numbers, either. Talk about Paid Time Off, sick time, bonuses, work from home perks, paid parental leave, and more. Pay transparency is what’s going to help shine a light on the gap. Over the last 100 years, we’ve made some great strides. However, it’s too early to pat ourselves on the back. Serious change must occur for us to close the gap. It starts with awareness and education and is finalized by policy and practice. Start where you can! Speak up to create a transparent conversation around money. Educate yourself and others on the history, policies, and general theories around the discrimination. Speak with your company. See what policies they have in place. Last but not least, negotiate. If we can have you take one thing away from this, it’s to negotiate. Talking negotiation is hard! That’s why at ELS, we break down negotiation specifically for women. 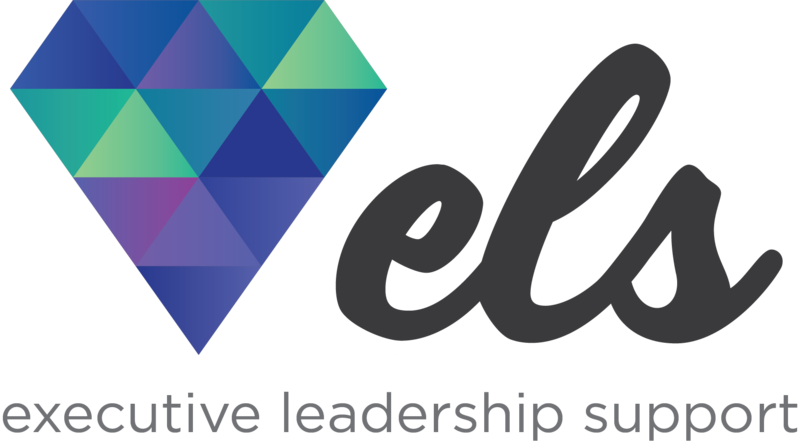 Check out an ELS event in your area, here. To tackle negotiation tips, read more on Bonnie Low-Kramen’s step-by-step guide.